We knew it was coming sometime this year, and yesterday we heard murmurs that “sometime” could be today, and at last, it is. T-Mobile has an iPhone 5. Yes, it’s the same iPhone 5 that was announced five months ago, but maybe (just maybe) it’s better. Since T-Mobile announced this weekend that it would be ditching the traditional two-year contract model, that means that you’ll be able to get the iPhone 5 without a contract. You’ll be paying $100 for the iPhone 5 up front, and then you’ll pay the rest of the phone off as $20 monthly installments attached to your bill over the course of the next two years. Once the phone is all paid off, then your bill will drop $20 a month. The iPhone 4s will be $70 down and the iPhone 4 will be $15 down, again followed by the $20/month on top of your monthly bill. Will that ultimately be a better deal? T-Mobile claims that with its $50 a month Simple Choice plan plus the $20 a month, that ends up being $1,060 less than AT&T over two years for an iPhone 5 on a comparable contract. That remains to be seen. But there’s another way it could be better. UPDATE: The installment plan will only be available to “qualified customers,” which really means “credit qualified customers.” In other words, if you’ve got a super sketchy credit record, T-Mobile isn’t going to give you a $100 iPhone 5 and trust that you’re going to make the $20/month payments. BUT that doesn’t mean you’re totally out of luck. You’ll just have to put down a larger down payment. That down payment doesn’t just sit there as collateral, though, it goes to the overall price of the phone. So if you pay $200 instead of $100 at the get go, that would mean your monthly payments would be more like $16 a month instead of $20 a month (depending on the total cost of the device you’re buying). Upcoming high-end smartphones on T-Mobile, including the HTC One, the Galaxy S IV, and the BlackBerry Z10 will all use that same $100 upfront / $20 a month model. Of course, you don’t have to do an installment plan. If you want to pay for the whole thing up front (or even buy the phone elsewhere), that’s fine. As we noted last week, T-Mobile has a sweet trick up its sleeve that could give it an edge over other carriers. On other wireless carriers, when you fall off an LTE signal, it drops you waaay down to 3G speeds, which are painfully slow by comparison. T-Mobile, however, has an 42Mbps HSPA+ network as it’s backup, which is almost as fast as LTE (on the download side, anyway). So you probably wouldn’t even notice you’ve fallen off LTE at all. Pretty slick. This will also be the only iPhone which supports HD Voice, so call quality may sound better. 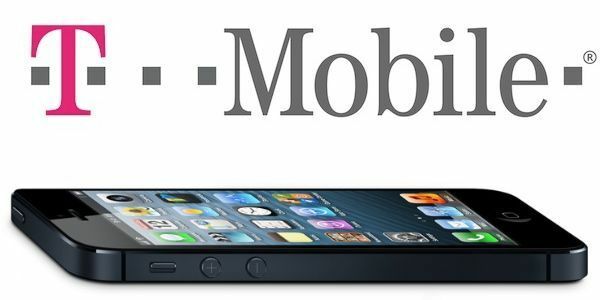 T-Mobile’s iPhone 5 will be available April 12th for $100 down, with $20 monthly payments thereafter. 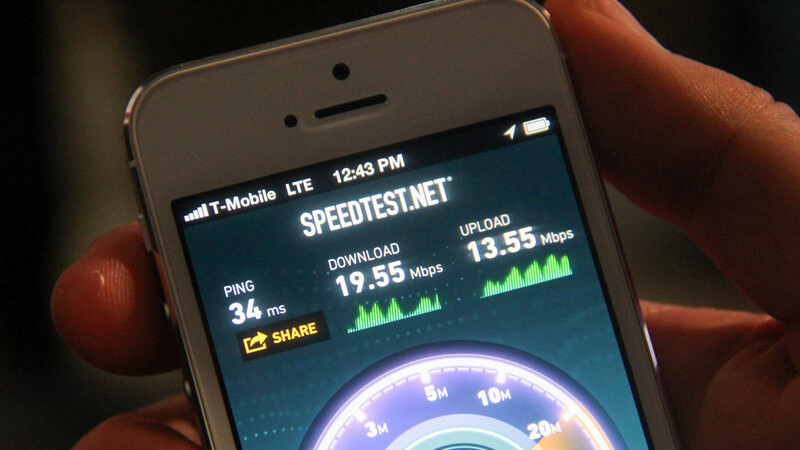 And yes it will work on the carriers freshly rolled out LTE network (today it went live in Baltimore, Houston, Kansas City, Las Vegas, Phoenix, San Jose, and Washington, D.C.). Let’s see if this will get the magenta carrier back in the game. Starting today T-Mobile will also be launching a buy-back program. This is designed to help people afford upgrades. The price they give you will be based on a “fair market rate.” So, regardless of whether you’ve completely paid the phone off or not, you can sell it back to T-Mobile to help pay for your next device. This also answers the “What if I decide I want to leave T-Mobile after three months?” question. The only thing you’ll owe them is the cost of the phone still outstanding. You can buy it off of them outright, or sell it back to them and pay the difference. Register for an account it’s free to participate in the discussion or share your thoughts in the Facebook.